Traumatic Brain Injury (TBI) is a widespread condition in the United States, one that affects thousands of people. While there are several symptoms associated with TBIs, two of the most prevalent are headaches and dizziness. Research into alleviating these symptoms has lead to a breakthrough in what causes them: binocular vision dysfunction; specifically, the vision dysfunction known as vertical heterophoria (VH). Approximately, 30% of people with post concussive symptoms lasting 3 months or longer, has developed BVD due to faulty brain signals. VH is characterized by a misalignment of the eyes and the brain’s inability to assemble a single cohesive image from the distorted signals being transmitted by the eyes. Depending on the individual, the imbalance can be caused by one eye being higher than the other or abnormalities in the muscles or nerves of the eyes. 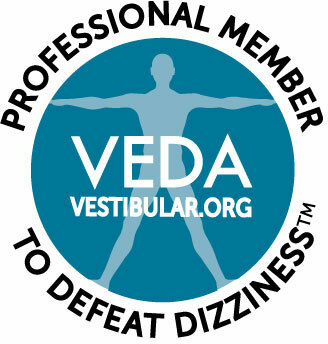 While a person can be born with VH, the condition can also be caused by head trauma, which can be addressed with treatment for dizziness. What causes the symptoms of VH is that the eyes and brain are struggling to create a balanced image. In order to do this the eye muscles become overworked and strained in order to align the images and prevent double vision. Over time this strain leads to the person becoming lightheaded, having trouble reading, becoming anxious about driving and being in spaces with tall ceilings, and experiencing constant headaches, all of which are classic indications of binocular vision dysfunction (BVD). If not correctly diagnosed, some of these symptoms can be attributed to conditions other than BVD, such as spinal misalignment, inner ear disorders, TMJ problems, Meniere’s Disease, vertigo, and vestibular migraine. We do recommend that you first seek out care from your physician to rule out the above conditions. If all other treatments have given you little or no relief, it’s essential to be evaluated for BVD using the Feinberg method Neuro Visual Examination since these conditions are commonly missed in a routine eye exam. An individual can also experience problems with vision after suffering a concussion, which is a condition known as post concussive syndrome. The disorder is triggered by a mild TBI and can last anywhere from several weeks to several months. It might be seven to 10 days after the incident that caused the concussion before a patient starts suffering from the double vision, disorientation and headaches common to the condition. Besides symptoms indicative of vision dysfunction, this particular disorder can also cause a person to experience emotional and behavioral changes. Overall causes of visual misalignment after suffering a concussion have been linked to damage to the structure of the brain and an interruption of neurotransmitter systems. Faulty signals are being sent between the visual system, brain, and inner ear balance organs. This leads to the visual symptoms of post concussive syndrome. In order to experience relief from the effects of a binocular vision dysfunction, a Neurovisual optometrist can prescribe special glasses made with prismatic lenses. These lenses are designed to treat double vision symptoms and other TBI visual problems by refracting light and the images viewed by the eyes in a way that the eye muscles no longer have to overexert themselves. Without the unnecessary strain being put on the eyes and the eye muscles, symptoms of BVD are greatly reduced or eliminated. This is without long term or costly vision therapy. If you’re suffering from dizziness and headaches from TBI, or if you think you might have VH or any other type of vision dysfunction, get in touch with the professionals of the Neuro Visual Center of New York. Give us a call at 516-224-4888 and get the treatment you need to correct your vision and put your life back into focus. Please take our easy to fill out questionnaire and we will respond as soon as possible with your results.